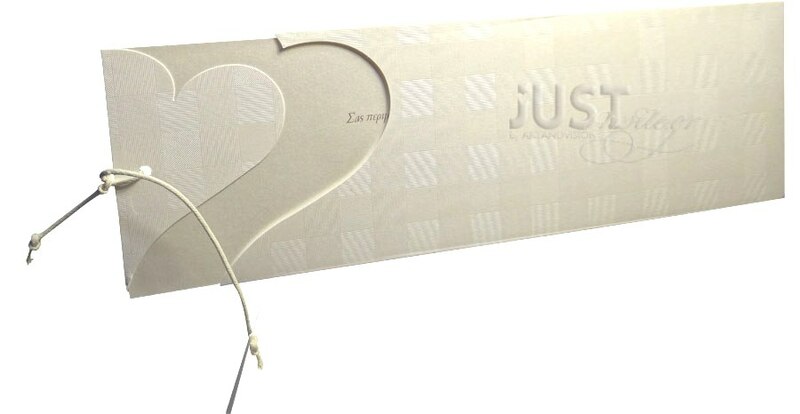 Heart shaped wedding invitations contemporary chic in style coming in a slip wallet check design in ivory colour and luxury pearlised ivory postcard insert with heart window to the front. The design is finished with ivory cotton thread and your personalised wording is printed with a gold foil design. Size: 28 x 10 cm. https://www.preciousandpretty.com/2017/10/heart-wedding-invitations-A1111.html Greek Wedding Favors|Orthodox Crowns|Stefana|Baptism Invitations Heart wedding invitations A1111 Wedding invitations, with a heart window to the front, contemporary chic finished with cotton thread. Product #: Greek Wedding Favors|Orthodox Crowns|Stefana|Baptism Invitations_2149684799178274212 5 stars out of 5 reviews.